BETWEEN THE LINES, based in Livonia, Mich., celebrated its 25th anniversary with its March 8, 2018, issue. 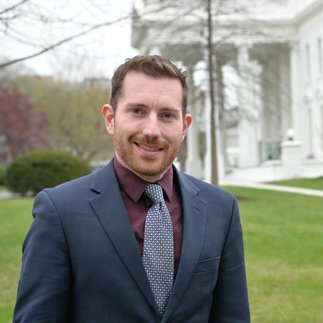 ANDY GARCIA is the new director of Creating Change for the NATIONAL LGBTQ TASK FORCE. He will oversee its annual conference as well as the entire Creating Change Department, including its leadership development programming. KATHY GRIFFIN, the comedian who is in the middle of a comeback, attended the White House Correspondents’ Dinner on April 28, 2018, as a guest of THE WASHINGTON BLADE and THE LOS ANGELES BLADE. Previous Blade guests have included actress LAVERNE COX, professor and commentator MELISSA HARRIS-PERRY, and TV star NENE LEAKES. 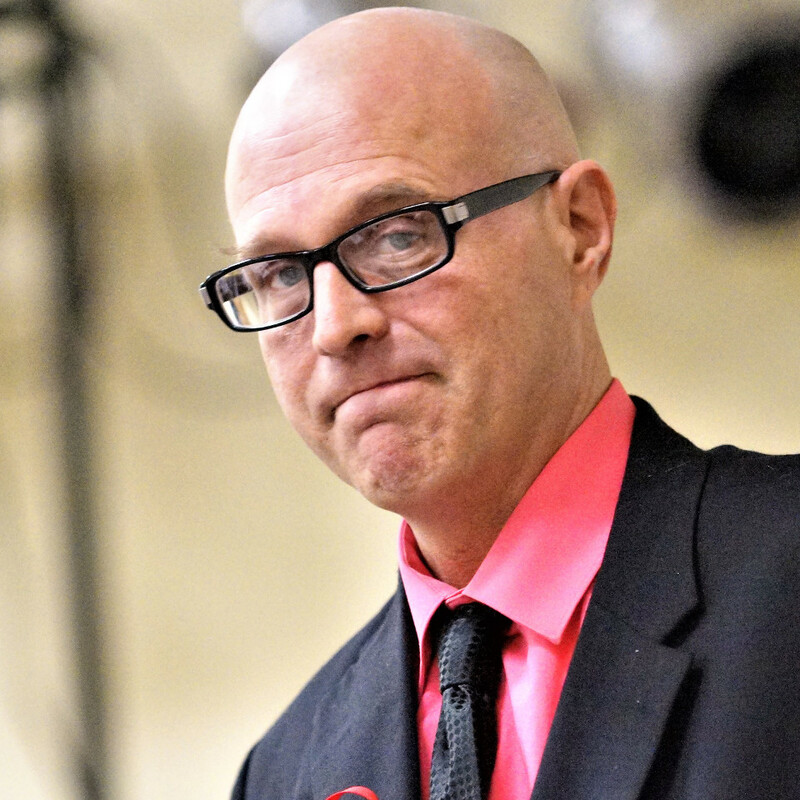 TODD HEYWOOD, reporter for Livonia, Mich.-based BETWEEN THE LINES, was honored with The Lansing for Cesar E. Chavez Committee 8th Annual Humanitarian Award at a dinner over Easter weekend. The group chose to honor Heywood because of his history of research and his national recognition related to hate groups and hate violence. CHRIS JOHNSON, White House reporter for THE WASHINGTON BLADE, won honorable mention for the Merriman Smith Award for print, which honours presidential news coverage under deadline pressure, from the White House Correspondents’ Association last month. He won, in part, for being first to report that the current administration fired all members of its AIDS advisory committee a few days after Christmas last year. METROWEEKLY, based in Washington, D.C., celebrated its 24th anniversary with its May 3, 2018, issue. MONTROSE STAR, based in Houston, entered its ninth year of publication with its April 4, 2018, issue. OUTFRONT, based in Denver, entered its 42nd year of publication with its April 4, 2018, issue. OUTSMART, based in Houston, celebrated its 25th anniversary with its April 2018 issue. MICHAEL PETTY, husband of PHILADELPHIA GAY NEWS longtime office manager DON PIGNOLET, died April 26, 2018 from complications due to open-heart surgery. He was 73. The couple first met on Halloween 1975 and legally on Dec. 29, 2013. PHILADELPHIA GAY NEWS won seven Keystone Press Awards, sponsored by the Pennsylvania NewsMedia Association. The awards will be given out at June 2, 2018, ceremony. The newspaper won top honors for weekly publications with over 10,000 circulation in the categories of editorial, column, news photo and photo essay. Works by MARK SEGAL, JEREMY RODRIGUEZ, JEN COLLETTA and SCOTT DRAKE were singled out for honors. QNOTES, based in Charlotte, N.C., entered its 33rd year of publication with its May 4, 2018, issue. Mark Segal, the founder and publisher of Philadelphia Gay News (PGN), has spent decades making history as part of the LGBT civil rights movement. But now it’s official. The Smithsonian’s National Museum of American History received a donation from Segal, documenting his almost 50-year career in LGBT activism. During a ceremony held May 17, 2018, at the museum, Segal donated personal papers — approximately 16 cubic feet of important and rare journals, flyers, posters, letters and materials that chronicle political developments that cover the 1970s to the present. 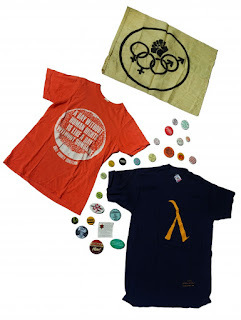 In addition to his papers, Segal donated artifacts from his personal collection, including the first state-issued Gay Pride Proclamation (1975), buttons and t-shirts. 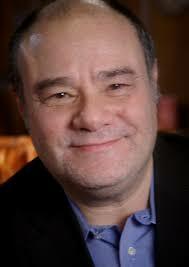 Segal also gave a donation collection can that he used during the 1970 Christopher Street Gay Liberation Day march (recognized as America’s first gay pride celebration) and a flyer for the march, as well as his personal marshal’s badge. In June 1969, a teenaged Segal travelled from his home in Philadelphia to New York City, and within weeks found himself in the middle of the Stonewall raid and uprising. Following that experience, he helped organize the first New York Pride March in 1970. He helped found or participated in a number of emerging activist groups, including the Gay Activists Alliance, Gay Liberation Front, Action Group, Gay Youth and the Gay Raiders. Segal realized the power of media, and to protest the lack of LGBT television coverage, he interrupted numerous live broadcasts, including leaping in front of Walter Cronkite on the CBS Evening News with a sign that said “Gays Protest CBS Prejudice.” Later, he and Cronkite became friends. After starting PGN in 1976, he was elected president of the National Gay Media Association. In 2004, he was chosen to be president of the National Gay Newspaper Guild. He was appointed to the Comcast Cable and NBCUniversal Joint Diversity Board as a member at large in 2011. In 2013, he was inducted into the National Lesbian & Gay Journalist Association’s (NLGJA) Hall of Fame. His 2015 memoir “And Then I Danced: Traveling the Road to LGBT Equality” took top prize for “excellence in book writing” at the 2016 NLGJA awards. Materials from the National Museum of American History’s LGBT collections date back to the 19th century. The archival collections include ephemera, oral histories, photographs, posters and entertainment publicity materials. The museum has mounted a number of LGBT history displays over the years, including two marking the 25th and 40th anniversaries of the 1969 Stonewall riots in New York City and a showcase exhibit on the 30th anniversary of the emergence of the HIV and AIDS epidemic. The museum is located on Constitution Avenue N.W., between 12th and 14th streets, and is open daily (except Christmas) from 10 a.m. to 5:30 p.m. Admission is free. For more information, visit http://americanhistory.si.edu. The Fight magazine, based in Los Angeles, launched a San Francisco edition in April. Editor Stanford Altamirano said the expansion to one of the most competitive media markets in the country seemed natural. “The Fight sponsors the Folsom Street Fair. We produce the official guide for the event. Working with that market last year, we realized there is room for a glossy monthly publication focusing on culture, lifestyle and politics,” Altamirano said. 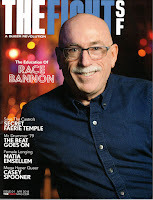 Readers can access both publications on The Fight’s web site, thefightmag.com. However, the magazines have different content. The San Francisco edition’s editorial staff are all based in the city, according to Altamirano. The May issue features mayoral candidate Mark Leno. Leno is the first gay man elected to the California senate and would be the first openly LGBT mayor in the city’s history. Options, Rhode Island’s all-volunteer LGBT newsmagazine, has returned nearly one year after ceasing publication. Rogers said Options has been entirely volunteer-driven by the 11 board members for the past 10 months, until the recent hire of a part-time editor. Jen Stevens has returned in that capacity. Options began publishing in 1982 and shut down June 2017. Kyle McKendall, the magazine’s executive director at the time, said the move was made due to a lack of funds and volunteers. “Despite the growth we’ve seen in readers and revenue over the past three years, we continue to struggle with maintaining the resources needed to operate at a level that is expected by readers and advertisers,” McKendall wrote in a letter to subscribers at the time. But Rogers said money was never a problem. “Funding already existed from previous savings. Also, Options production is well funded by businesses seeking advertisements each month and donations from readers,” Rogers said. Taking the break from publication was the right decision, McKendall believes. PPQ: Who came up with the name and what was the inspiration for it? Publisher and Editorial Director John Long: My former founding partner, Jim Gabel, and I came up with the name. At first, we actually had thought about opening a gay bar by that name, which by the way has happened in St. Paul. But we decided that with my background in publishing and his background in graphic design, we’d be much better at publishing than owning a bar. When establishing our trademark, I was actually surprised that no one else had an LGBTQ magazine by this name. In fact, we took a national trademark on the name, thinking that at one point we might have regional editions of Camp in other cities. We came up with the name “Camp” to define what the dictionary refers to as “a community of people with similar ideals” — such as the Hillary Clinton Camp, the Michael Jackson Camp — and also the theatrical or outrageous definition of camp, which is so well known in the LGBTQ community. Long: As with any independently owned publication, financing has been a constant challenge. We have no outside investors and are totally supported by advertising revenue. PPQ: What challenge or challenges is Camp facing now? Long: We are looking to change from a newsprint format to a glossy magazine paper format. And we have more to do with a digital edition and improved website. Long: Physically it was originally a large tabloid. We changed to a smaller magazine trim size, originally only for the June 2012 Pride issue. However, the smaller size was immediately so popular in comments we received from our readers and distribution sites that we just stayed with the smaller format from that point forward. We also relied more on syndicated material originally and that was changed to feature more local writers. Long: Printing on glossy magazine stock, and that will happen. PPQ: What has been the biggest news story or stories Camp has covered? Long: We featured our then female mayor, Kay Barnes, on the Gay Pride issue cover. Our creative team dressed her up as a 1950s styled housewife holding a rainbow cake. It was very Campy! The headline was “Serving the Community with Pride.” We got all kinds of mainstream press from that. Other news stories have been our annual AIDS Walk issue with poignant stories about people living with HIV/AIDS or people working in community organizations that serve the community. Most recently, we rallied on our press deadline weekend to do a cover story on the “March For Our Lives” march in Kansas City. Long: I think so. I first got involved with some activism when living in San Francisco during the height of the AIDS epidemic back in the 1980s. I would also ride my bicycle in their local AIDS rides. After moving to Kansas City in 1998, my partner and I formed a fundraising bicycle ride called PrideRide modelled after those 20-mile bike rides and we raised money for groups supporting the LGBTQ community. We did that for five years before starting Camp. Long: A few years after we began, I received an irate letter from a reader who thought we had too many drag queens on our covers and that “maybe it was because my boyfriend was a drag queen.” Well that was not true for one because my partner never did drag. And secondly, this person was mistaking gender-bending actors in a local theater group called “Late Night Theater” for drag queens. I wrote to him and told him the actual number of covers with drag queens and we were quite proud to feature them. Another surprise I have received over the years is when I received letters from incarcerated gay people asking if I could mail Camp to their prisons. Long: Run! No, in actuality, do it because you love your community, but also make sure you have a solid business knowledge of publishing. Camp is the longest-running LGBTQ magazine in Kansas City. We have outlasted all others who rarely survive more than three or four years. I credit that to having a background in publishing. My mantra for success is to do what the community wants and needs, not what I want and need. Publishing is not ego driven. GUEST COMMENTARY: It’s official. I’m history. Just saying that I am humbled is not enough. It is an honor of a lifetime. By the title of this column, I’m not talking about my age, but something that I’m still processing. There have been many honors over the last few years, but this is something that happens to few Americans, and I never expected it to happen to me. My personal papers of the last 50 years will soon be alongside people like Benjamin Franklin, George Washington, LGBT pioneer Frank Kameny and even Judy Garland's ruby-red slippers. It seems strange to say, but I’ve been asked by the Smithsonian for my papers and memorabilia, and they are now part of our American history at The Smithsonian Institution in Washington D.C.
As you read this, my family and some friends will be in the Presidential Reception Suite in the Smithsonian’s National Museum of American in Washington, D.C., doing what is called a signing ceremony. That’s when I officially sign over my personal papers and personal memories of the last 50 years, including items from Stonewall, that first Gay Pride March, the Gay Liberation Front, LGBT media, gay youth, senior-housing materials and more. This project has been going on for almost two years now, and my friends at the Smithsonian tell me that they now have 16 square-cubic feet of my life — how strange to put one’s life into square-cubic feet. During my book tour over the last three years, when I was introduced, many would call me historic, something that seemed to me a little out of place, so when the Smithsonian called, it began a process of me attempting to understand what I had accomplished and the barriers that were placed in the way. First came the search around the office and home to see what I actually had for the collection. That uncovered pictures, papers and items long-forgotten. Each time the curators at the Smithsonian would smile, and try over and over to explain my place in history, something that I still have trouble contemplating. At one point while I was contemplating this out loud, one of them actually said something like, “You are history and we’re the experts on American history." Writing my memoir, “And Then I Danced: Traveling the Road to LGBT Equality,” gave me a sense of the history I witnessed or created. But when three individuals from the Smithsonian showed up at my front door and explained that America’s history museum wanted my papers, I realized that we fought for pride, for equal rights, for our place in the military and our right to marry the person we love. I am humbled and honored to know the Smithsonian National Museum of American History will preserve and tell our struggle for generations to come.